This is a witty, clever take on the vintage mystery, with more than a nod to the Queen of Crime herself, Agatha Christie. It is in fact two books – the one involving Susan and “real” life, and the fictional book involving Atticus Pund and a gruesome murder in the village of Saxby-on-Avon. The format is weird and on the whole successful, and it’s certainly highly original and entertaining. After a quick introduction to Susan, the reader settles down with her to read the fictional book, which is then given in its entirety up to just before the dénouement. I must say it’s a fantastic take on a Christie murder – country house, lots of characters all with secrets and motives, a nicely unpleasant victim so we don’t have to venture into grief territory, some great clues and red herrings, an intriguing detective in the German-born Pund, and a rather charming if intellectually challenged sidekick in James. Like Christie, it gets that perfect balance between dark and light, depth and entertainment. It left me even more baffled than before as to why the Christie estate hadn’t got Horowitz to do the Poirot follow-ons – he’d have made a vastly better job of it than poor Sophie Hannah’s rather dreadful attempt. The real life mystery is just as good and the links between the two are ingenious – some easier to spot than others. I did spot the giveaway clue in this story as it happened and so worked out the murderer fairly early on, but I was baffled by the mystery in the fictional book. Again in the “real” story there are plenty of suspects, all with good motives to have done away with the victim. (Forgive the vagueness – the plotting in this one is so intricate, and half the fun is in seeing how it works, so I’m trying hard not to give any accidental spoilers.) There are alibis to work out, connections to be made and misdirection galore. Susan is a likeable protagonist, and her love of books means there are endless references to various mystery writers – a treat for any fan of vintage mystery stories, but not at all problematic for anyone who hasn’t read widely in the genre. There are also lots of sly digs at the world of writing, publishing, book awards, etc., which add greatly to the fun. Both mysteries are fairplay, I’d say, and all the red herrings are explained in the end. My hesitation about the format is a small one. I found that all the time I was reading the story within the story, I was conscious that another story was to come and that made me very aware that the fictional book was fictional. Normally, I can forget the fictional nature of a mystery and treat it as “real” but I found I was more distanced with this one, and I really wanted to know what was going to happen in the real section. Then, when eventually it flips to Susan’s story, I really wanted to get back to find out what happened in the final chapters of the fictional one! I found I wasn’t always totally absorbed in the bit I was reading for thinking about the other storyline. Of course, though this was the teensiest bit annoying, it also shows just how interesting both stories were. However, when I reached the end and the two parts were each finished off beautifully satisfactorily, my minor discontent evaporated and I could wholeheartedly applaud the skill with which Horowitz had pulled the whole thing off. (Horowitz is one of very few authors who always seems to make me want to give him a standing ovation at the end for the sheer exuberance of his plotting. I imagine he must have had a whiteboard big enough to be seen from space to keep track of all the clues… ) Effectively it’s two books for the price of one – two complete mysteries, linked but separate, with different solutions but each feeding into the other. Again, as with his take on the Holmes mysteries, Horowitz has shown how effectively he can play with these much-loved, established fictional worlds, always affectionately but always with an original twist that prevents them from being mere pastiche. Great stuff, that I’m sure will be enjoyed by any mystery fan. Bravo, Mr Horowitz… encore! Oh, this sounds terrific, FictionFan! It’s not easy to pull off a story-within-a-story, but it sounds as though Horowitz does it very well. The plot itself sounds well-done, too. Don’t tell my TBR, but I may have to add this one. Can’t wait to read this one – it may have to skip to the top of my non-existent list! In my TBR list for next year. Not published in US until June 2017! WHY!!! This sounds like a worthy one to read, even if it expands my TBR! You know how I love a good mystery, and getting two for one? Readers’ heaven! Thanks for the recommendation, FF. Right. Like that’s gonna happen, ha!! Now if I were a mystery reader, I’d pick this up today! The plot sounds original and full of potential plot twists. (I like the digs at publishing, too.) hmmmm…. Tempting to venture outside my comfort zone. However, you did say it may not be for those mystery newbies! I should cut my teeth on Christie, I imagine. I’m about two thirds of the way through this book at the moment and absolutely loving it so far, so like Lady Fancifull, I’ll come back and read your review as soon as I’ve finished. I’m pleased to see you’ve given it five stars! Sounds like a winner, though as bmackela mentioned, we have to wait here. 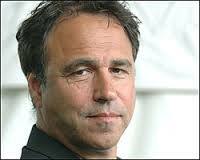 I’m just amazed at how prolific Anthony Horowitz is. I loved this book too – have yet to write my post, so I’ll read yours later. I rate it 5 too! I still need to read some Horowitz books – never even read one. I hear so many great things about him, too! Thanks for the review. I’ve only read his two books set in the Holmesian world and this one, and all three have been excellent. I don’t often read books for kids or teens, but I might make an exception for Horowitz and try one or two of them. Having now read, and got my review written and scheduled to appear tomorrow evening, I have returned here to say what a marvellous, spoiler free review. Like you, I don’t read other reviews of books I have already scheduled to start in the new future – even if I know the reviewer won’t be giving spoilers, its about making sure I get the relationship I’m going to have with the book as 100% mine, only then am I willing to see how someone else’s relationship went. It really is brilliantly done, isn’t it? I loved the ways the clues crossed over from on to the other, but still retained credibility… he’s AWESOME!! Cruel, cruel woman! Unfortunately my reading has totally slumped again and I can’t even blame it on Moby since I’ve only read the first couple of chapters and *whispers* have quite enjoyed them… must try to get into it properly this week. Well this is FABULOUS news, that you are now an official whale lover. Perhaps, if your enthusiasm for thar she blows! really climbs, you can put your powers of persuasion to good use and get us all promoting Mr Melville. I look forward to updates. I blame the slump on Horowitz – a really enjoyable read is often a hard act to follow. Now if I only knew where I could source the earlier books in the Atticus Pund series from…………..
Wouldn’t that be fantastic if they existed! Yes, I think it’s partly reaction to a brief run of major goodies that I kinda gulped down, plus Louis XVI (which may take me five years or so to read) plus watching too much politics – both UK and US and consequently wallowing in deep depression. I’m emigrating to Canada – their PM looks like quite a nice inoffensive young man… wanna come? Well, I would, except having to switch tennis loyalties and start shouting C’mon Milos, just won’t be the same…….mind you, with everything that is going on over here it could be that all the ‘United bits of the Uk decide to disunite, if Scotland and Ireland want to be seen as European rather than little old disunited kingdom. I am really really hoping that the most recent Trumpisms persuade any moderately sensible Republicans that they really, really can’t have such a volatile, narcissistic Neanderthal as president. If that isn’t the case, I really will lose all hope in our species as a whole. But I will think about a job lot purchase of thermals, in case the Canadian exodus seems the best move. I believe it can get awful cold……I wonder if Hotel Chocolate exists there? And fall (you see, I’m trying out the language) is SPECTACULAR. AND maple syrup would be easily available. Are there mountain lions, and wolves as well as bears?….I’m getting quite excited! You are going to loooooooove this!! It’s fab, and soooo clever! Try not to read too many reviews – some people are giving away bits of the plot, but this is one that’s going to be much more fun if you know nothing going in. Oh, how I wish he was doing the Poirots – I may get up a petition. Do let me know what you think! Haha I very much appreciate the time and effort you have taken to protect me from spoilers 😀 I am really looking forward to this. Hurry up, book!! I really like the sound of this one, very clever indeed!